Consumer DNA testing is going to the dogs. 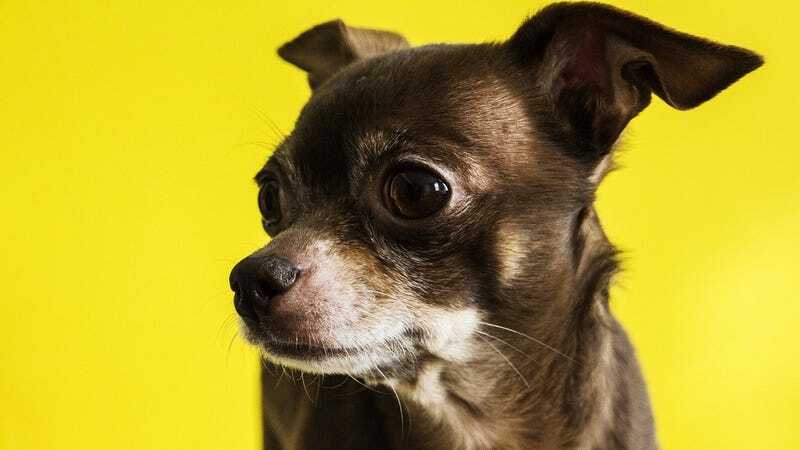 A Canadian testing company has been accused of sending back supposedly human ancestry results on a faux sample that actually came from a chihuahua named Snoopy, CBC News reported Wednesday. Remarkably, it’s the second company reported to have been fooled by doggy DNA in recent months, but the full story behind the sting is even weirder. The company in question, Viaguard Accu-Metrics, has been exclusively used to verify whether prospective members of the Confederation of Aboriginal People of Canada (CAPC) have any genetic ties to the indigenous populations of Canada. Those who were confirmed to have indigenous DNA via the lab’s results are then given CAPC membership. The results would supposedly not only confirm someone’s ancestry, but narrow down which tribes of the First Nations community they belonged to. But Louis Côté, who worked with CAPC to collect DNA samples from hopeful members, became suspicious of the lab. So according to CBC News, Côté bought three kits from Viaguard himself last summer, then submitted two cheek swabs from himself and one from his girlfriend’s good boy, Snoopy. The results showed that both he and Snoopy seemingly had 20 percent Indigenous ancestry, 12 percent of which came from the Abenaki tribe and 8 percent from the Mohawk people. CBC News went one step further and submitted samples from three of their employees who were natives of India and Russia, respectively, to both Viaguard and the US-based and popular DNA testing company 23andMe. To 23andMe’s credit, its lab seemed to correctly identify the employees’ entirely Eurasian origins, but Viaguard again said all three had 20 percent indigenous DNA, and in the exact same mix that Côté and Snoopy supposedly had. Last May, NBC Chicago’s own sting investigation found that the DNA testing company Orig3n was unable to tell that an undercover pup named Bailey was in fact a Labrador retriever, not a human. They reported back that Bailey’s genes made her a great candidate for basketball or endurance training (leave your Air Bud jokes in the comments). CAPC, meanwhile, has been accused by former members and indigenous law enforcement officials of running a grift. Members are given cards that look similar to the government-issued status cards that allow people legally declared to have indigenous ancestry to get tax exemptions on certain products. Kahnawake Mohawk Peacekeepers in the Montreal region have reportedly seized a hundred of these cards from CAPC members trying to pass them off as the genuine article. DNA testing, amazingly enough, is not used by the Canadian (or American) government to figure out someone’s potential Native American ancestry, and the experts consulted by CBC News say there’s no consumer DNA test that could possibly determine someone’s specific ties to a First Nation tribe.